Guanajuato City, Mexico's Most Beautiful City? 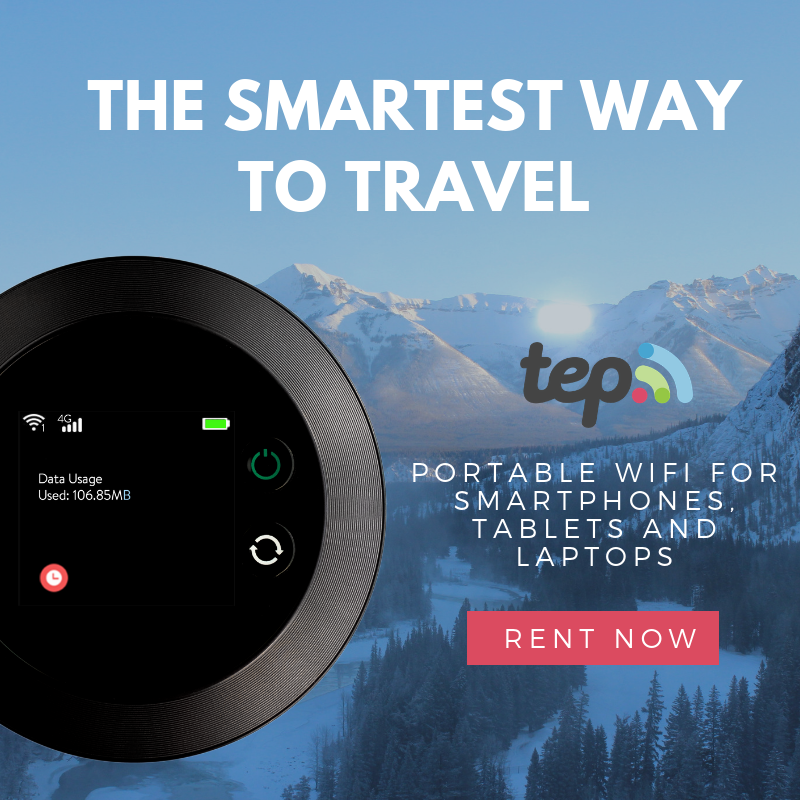 Visiting El Bajio Region of Mexico? 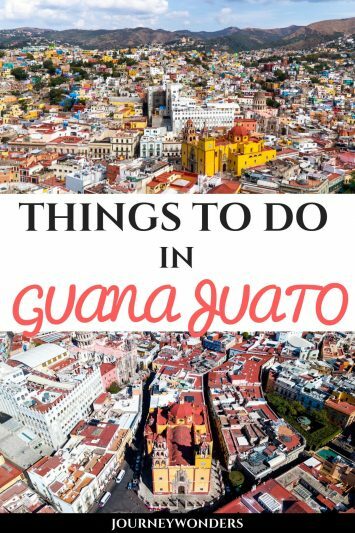 Check out the Best Things to Do and See in Guanajuato and get ready to explore this colonial gem of Mexico! If you want to experience authentic Mexican folklore, the city of Guanajuato is probably your best option since his gem of Mexico’s colonial past has been considered as one of the most beautiful cities in the entire country. In fact, if you visit Mexico without spending at least one weekend at Guanajuato, you’re definitely missing out! Today we shall explore the best things to do and see in Guanajuato. Are you ready for some colonial architecture, mummies, a beer spa and much more? Here we go!!! The Best Things to Do and See in Guanajuato #01: Explore its Narrow Alleys and Romantic Streets. 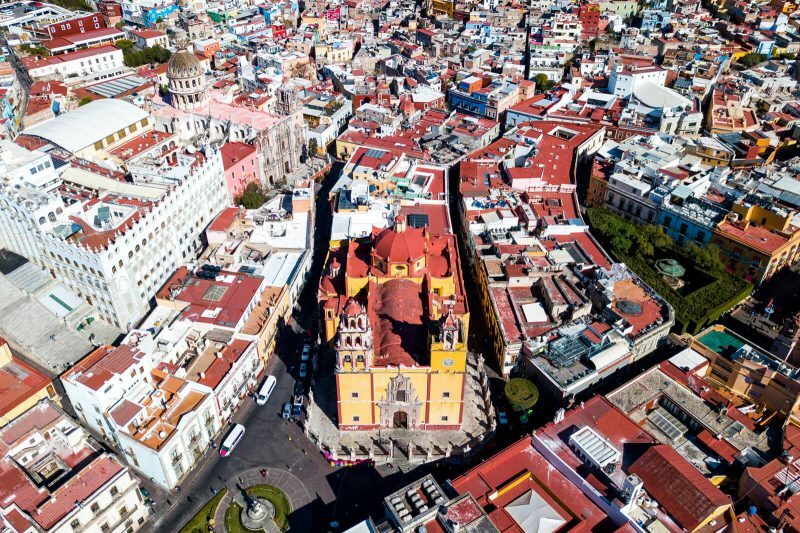 Guanajuato is without any doubt, the most romantic city in Mexico, its historical center is not unlike those of Europe, with narrow alleys and pedestrian streets. 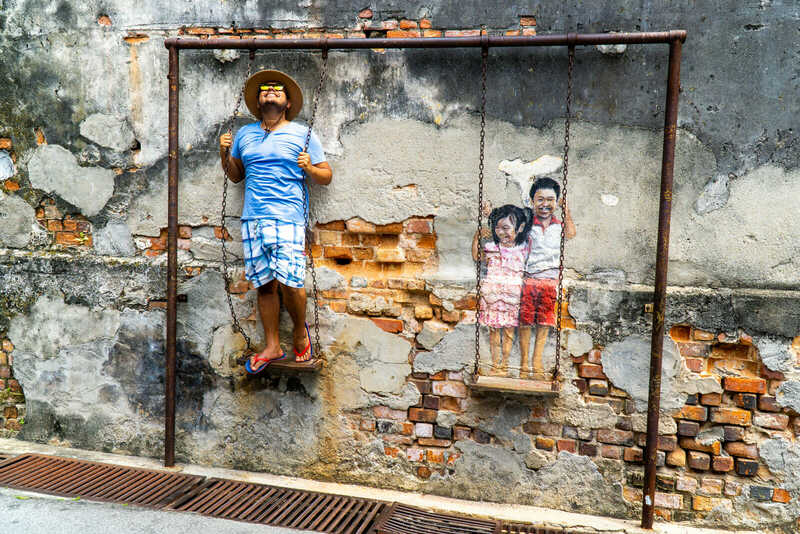 There’s even one special alley where you can literally jump from one side to the other via two balconies, there’s a very special folktale about two star-crossed lovers at the “Callejón del Beso” (Alley of the Kiss). Can life get more romantic than that? 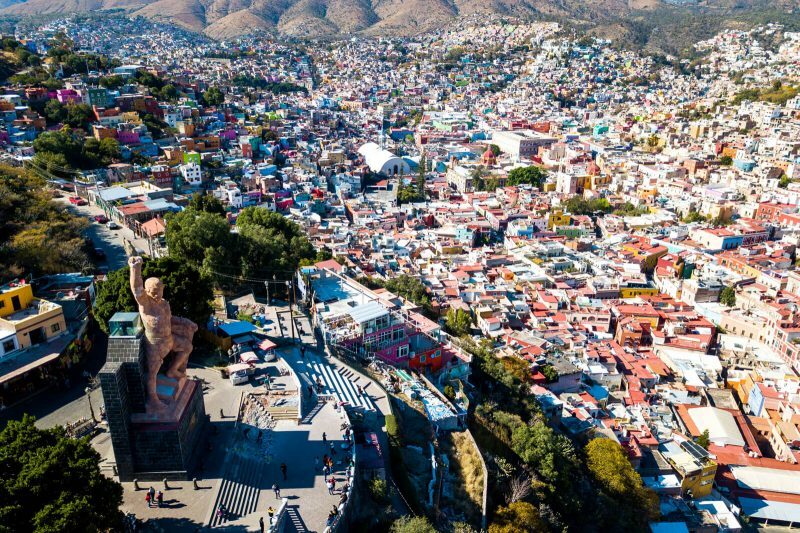 The Best Things to Do and See in Guanajuato #02: Board the Funicular and Enjoy a Panoramic View from the Pipila Monument. On a hill located on top of the city, you can find the monument of the Pipila, a hero of the Mexican Independence War who carried a boulder over his body to shield himself from the Spaniard’s bullets and torched the entrance to the Alhondiga de Granaditas. You can either walk for 20 minutes to the top or take the conveniently located funicular for a very small fee (about 1.50 USD). From the Pipila monument you can get a perfect view over this colonial gem. Magical, isn’t it? The Best Things to Do and See in Guanajuato #03: Learn about Mexico’s Cultural Heritage. It was here that the Mexican Independence War had its first victory against the Spaniards in 1810. Today, you can visit the Alhondiga de Granaditas, the fort where the Spaniards were massacred by the ragtag might of the Independence army. Also, in downtown Guanajuato, you can visit the house where Diego Rivera, Mexico’s best known muralist, was born. Finally, don’t forget to check out the many Don Quixote’s monuments found around the city. 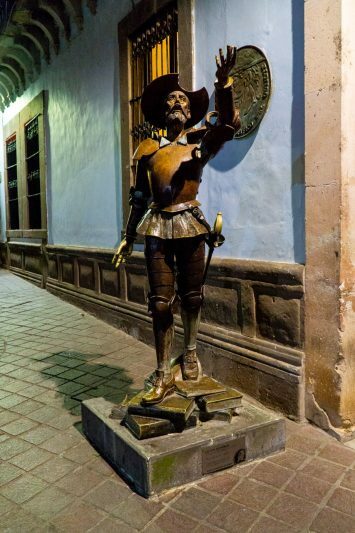 The reason for this devotion to the character is because Guanajuato is the home of the Cervantino festival honoring Miguel de Cervantes, author of Don Quixote’s epic novel. The Best Things to Do and See in Guanajuato #04: Eat a Lot of Mexican Food. Where else in all of the world can you taste more than 100 flavors of ice cream? From avocado to pork, Guanajuato and the nearby city of Dolores Hidalgo specialize in making the most bizarre flavours of ice cream! The best part? The friendly sellers can give you more than a few dozen samples for free as long as you end up buying at least one from them. I recommend you to try out the Tequila Ice cream, which is basically a 1 USD Margarita. Other recommended flavors include seafood, pork meat, avocado and gansito (baby goose*). Afraid of trying Mexican street food? 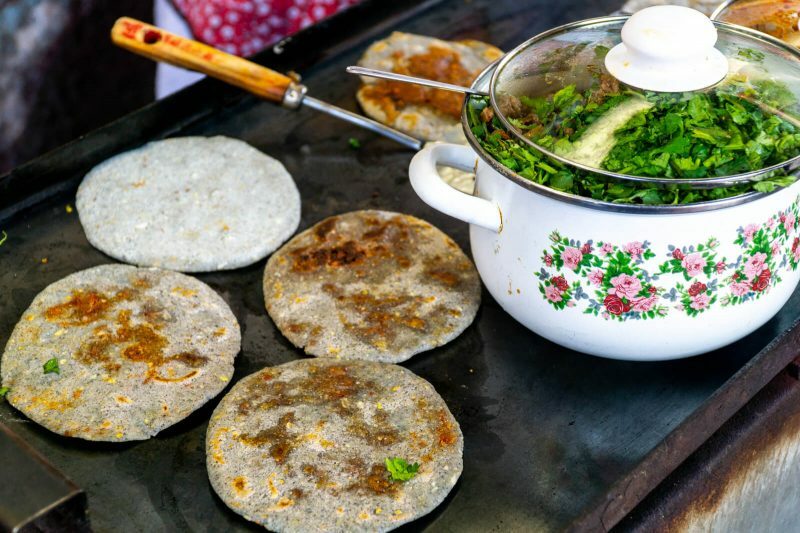 How about hiring a Guanajuato Street Food Tour? Yummy for the tummy!!! *No, this isn’t really a goose-flavored ice cream, Gansito is the name of a Mexican pastry! The Best Things to Do and See in Guanajuato #05: Take the Dolores Hidalgo Mexican Independence Tour. 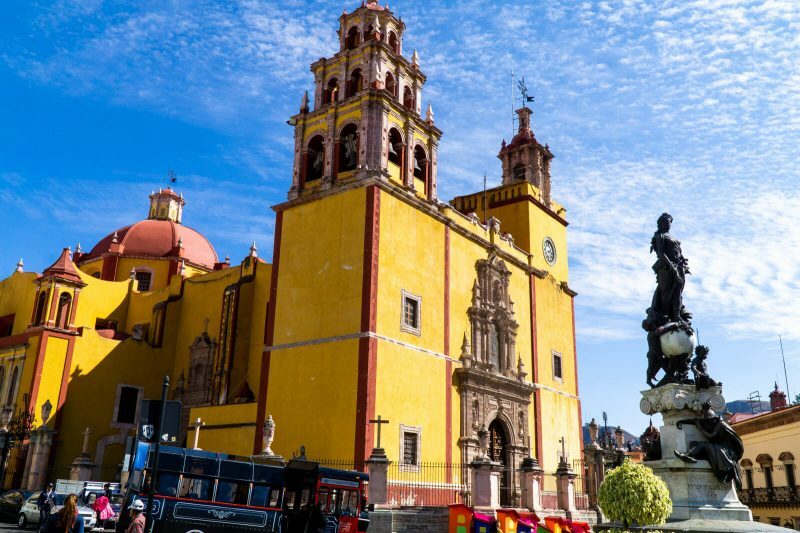 Dolores Hidalgo is the town where the Mexican Independence War began in 1810 and embarking on a historical day trip from Guanajuato is a perfect idea to enjoy a day filled with cultural adventures. 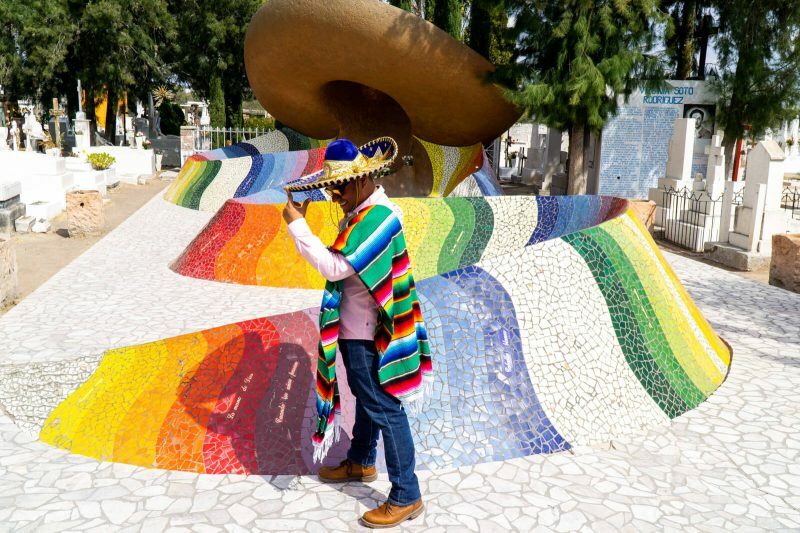 The average tour will take you to the Jose Alfredo Jimenez Tomb, a few museums in Dolores Hidalgo, the Atotonilco Church and to San Miguel de Allende. 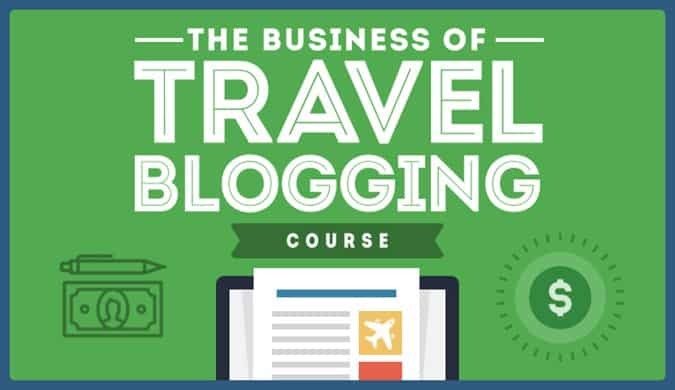 Sure, doing everything in one day might be a little bit packed so you could always prolong your trip and stay overnight in San Miguel de Allende. Read all about the Dolores Hidalgo Independence Tour here! The Best Things to Do and See in Guanajuato #06: Climb the Steps of the University of Guanajuato and do a Rocky Balboa Pose. Can you see that white castle-like building behind the yellow basilica? 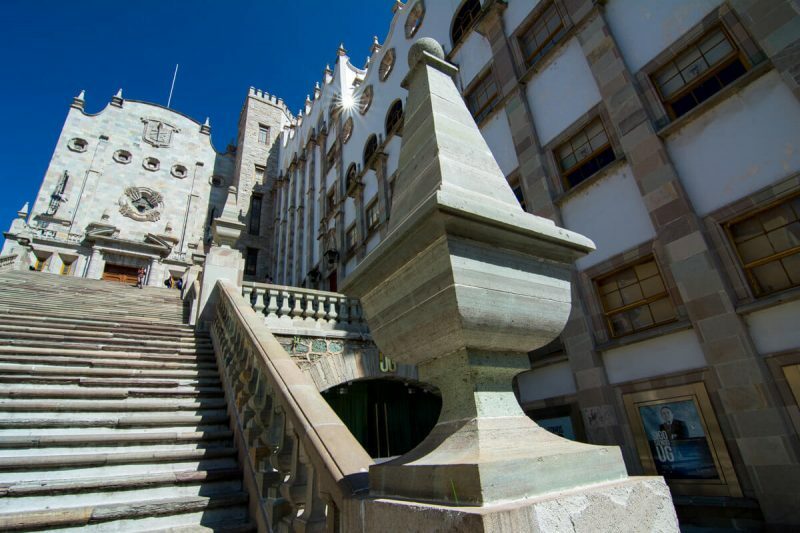 That’s actually the University of Guanajuato and yes, you can climb its steps to get another great view of Guanajuato. In fact, it is common for locals to run to the top while humming the Rocky Balboa theme and do a victory pose once they reach the top. Yes, I have no idea why they choose to do that but hey it looks cool! PS. Be sure to check out the Mexican movie “El Estudiante“, it takes place in Guanajuato and it is a very touching story. I promise you that you’ll shed some well deserved tears during the ending!!! The Best Things to Do and See in Guanajuato #07: Get Scared for Life at the Momias de Guanjuato Museum. 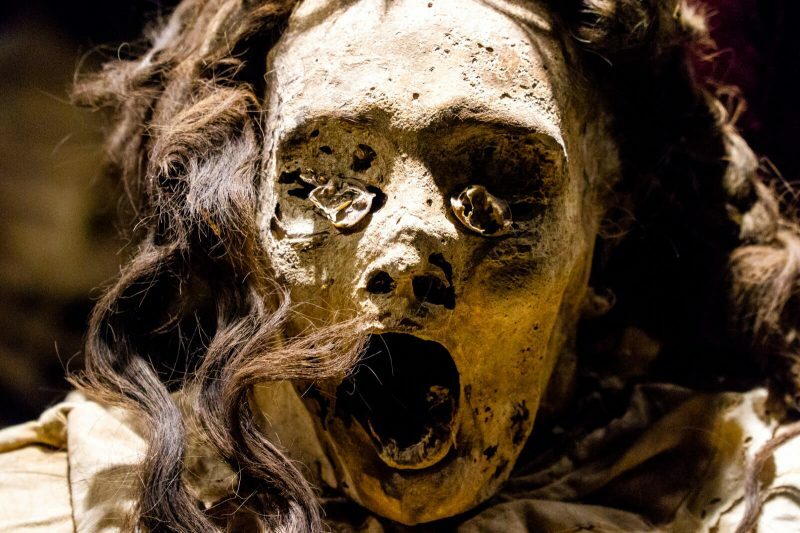 The Mummies of Guanajuato (Mummies of Guanajuato) are some of the spookiest attractions one can find in the entire country and it isn’t hard to see why. These victims of the plague were dig up a few centuries ago and they underwent a natural mummification process thanks to the natural minerals found in Guanajuato. Today, you can visit them at the Museo de las Momias de Guanajuato (read all about the Momias of Guanajuato here) but trust me, it is not for the faint of heart! Best Things to Do and See in Guanajuato #08: Check the Amazing Architecture of the Basilica of Guanajuato. As I said before, there’s just something special about how the old blends in with the new. 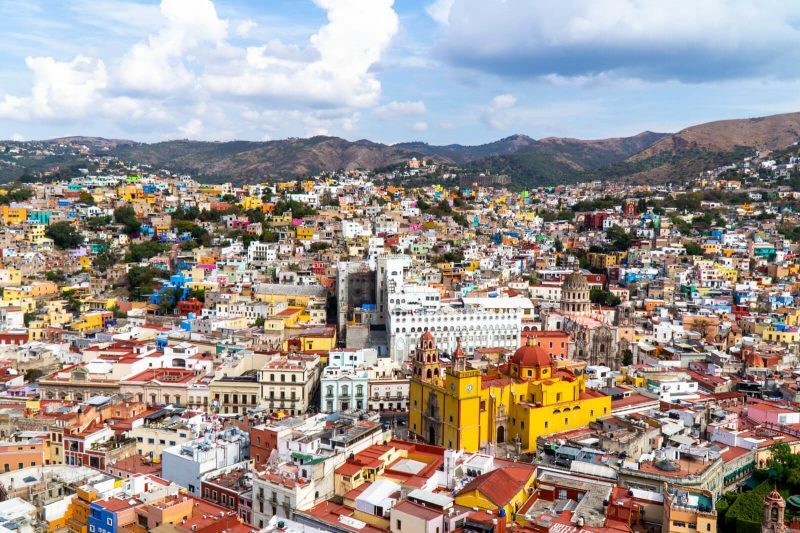 In Guanajuato, the local Government has forbidden people to paint their houses in any other color than the vibrant traditional ones that distinguish this city above the rest. Inside any of the many churches, you will see amazing gold leaf decorations and statues made of porcelain. A special mention goes to the church’s domes, which are all decorated in a very unique manner, such as the one of the Basilica of Guanajuato. Be on the look out for the high number of bronze sculptures scattered around the city, specially in the plaza near Teatro Juárez. Guanajuato City, Mexico’s Most Beautiful City? 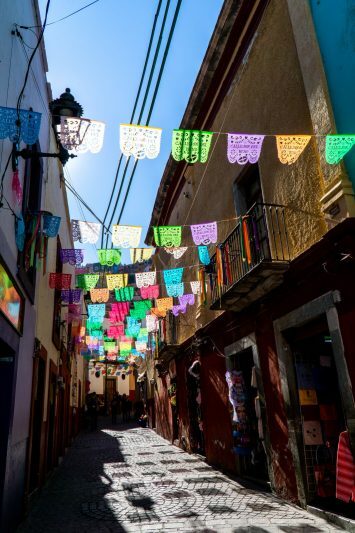 The Best Things to Do and See in Guanajuato #09: Take Part in a Traditional Callejoneada. 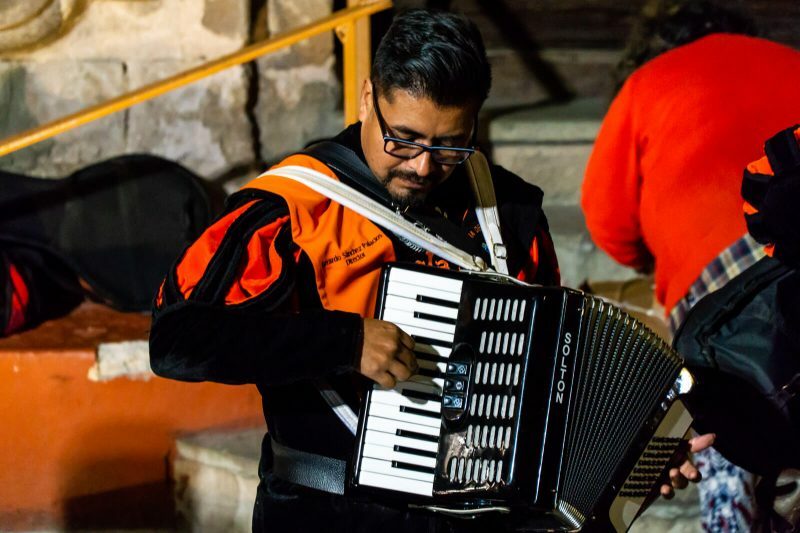 The Callejoneadas are basically night-time walking tours led by musicians (who are often university students) who will tell you the legends of Guanajuato. They will set you back around 5 to 10 USD and will often include a free drink. Definitely give them a go next time you’re in Guanajuato. PS. If you’re poor and/or broke you could always discreetly follow the callonejada for free since the street is a public space but don’t tell anyone you read that tip here! The Best Things to Do and See in Guanajuato #10: Spend a Few Days in San Miguel de Allende. 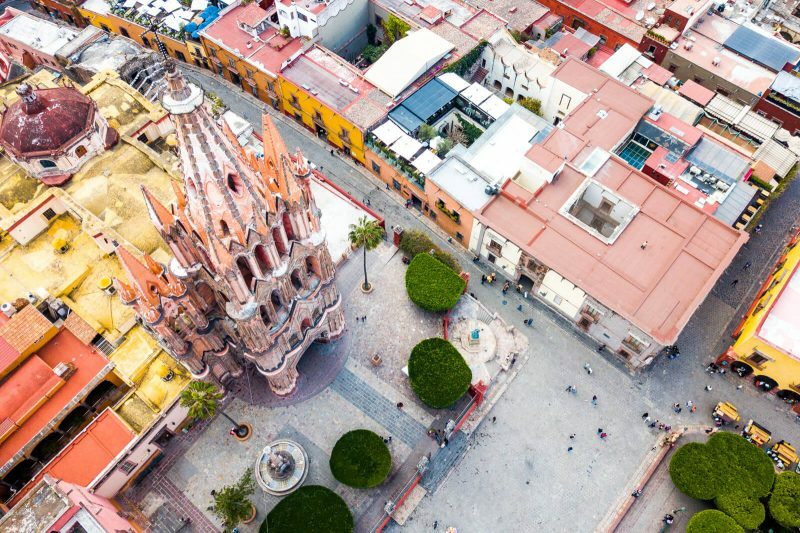 San Miguel de Allende (check out the Best Things to Do and See in San Miguel de Allende) has been named as the best city to live in the entire world for a few years now so a visit there to see what the buzz is all about is a must. From Guanajuato, San Miguel de Allende is just an hour and a half away so you could easily go as a day tour or stay overnight and come back to Guanajuato a few days later. No matter what you choose, I guarantee you that you will end up loving your time in San Miguel de Allende my wonder friends! The Best Things to Do and See in Guanajuato #11: Enjoy the Beer Spa at Mineral de Pozos. Two hours east of Guanajuato by car you shall reach the magical ghost town of Mineral de Pozos. This former mining town was abandoned by many decades and in recent times it started to start gaining a huge tourism boom. 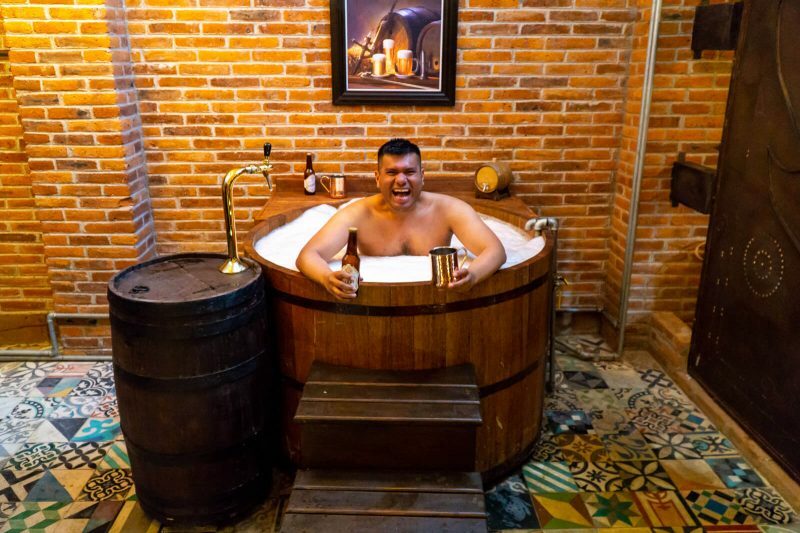 If you’re looking to escape the city hustle, Mineral de Pozos is an awesome option for a romantic weekend and what better way to do so than enjoying an unique beer spa treatment? At the Casona Minera Boutique Hotel you can enjoy this and much more so be sure to check out tomorrow’s article on Journey Wonders about the Beer Spa of Wonders!!! 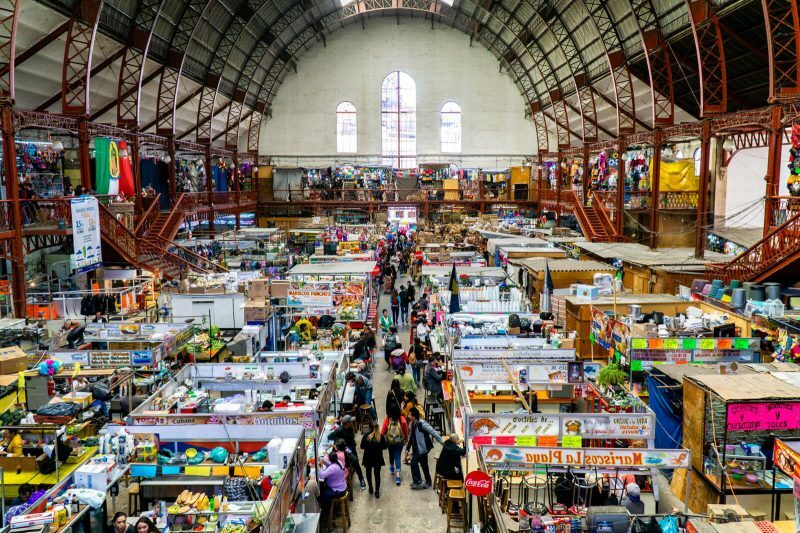 The Best Things to Do and See in Guanajuato #12: Go Shopping at El Mercado Hidalgo. El Mercado Hidalgo is THE best spot for both street food (tortas for the win!!!) and souvenirs (ponchos everywhere!!!) so make sure to visit it during your travels to Guanajuato. 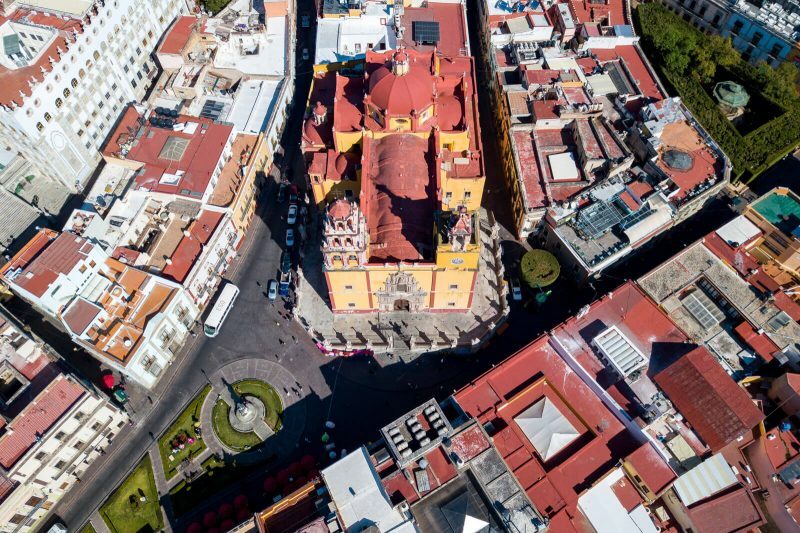 Founded in 1910 by Porfirio Diaz right before the Mexican Revolution, this market has endured the passage of time and now stands as one of Guanajuato’s most iconic buildings. It is located in the Avenida Juarez near the Alhondiga de Granaditas. It is impossible to miss the imposing railway-station looking market façade !!!! The Best Things to Do and See in Guanajuato #13: Go Hiking Around the Presa de la Olla. 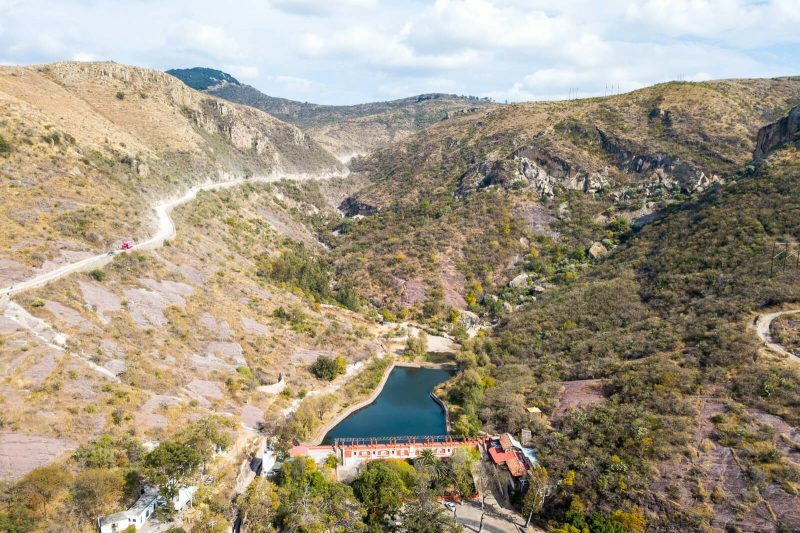 The Presa de la Olla (literally, dam of the cooking pot) is a dam located North-East of the City Center of Guanajuato and whoa, it is truly amazing to see the mountains that are located just a stone throw away from the city itself. From here, you can embark on many panoramic hikes around the Bajio Region of Mexico including the majestic Cerro de la Bufa hike. Alternatively, you could always rent a boat and row around the beautiful dam on a sunny day. Your body will sure welcome the exercise !!! Guanajuato is located about five hours to the north-west of Mexico City, there are many daily buses that will get you there for about 35 USD. From Acapulco, you can take an overnight bus to Leon and afterward proceed to Guanajuato. Alternatively, you could go further west to Guadalajara, home of the Mariachi and the Tequila or to Queretaro, a beautiful colonial city with a wonderful Roman Aqueduct. No matter which route you choose to reach Guanajuato you will sure have an unforgettable time there my wonder friends! If you’re looking for Luxury and Boutique hotels in Guanajuato, look no further than Hotel Boutique 1850 and Villa Maria Christina Hotel for some colonial era charm. When it comes to budget hotels and hostels in Guanajuato, your best options are La Casa de Dante and Hostal La Casa del Tio. 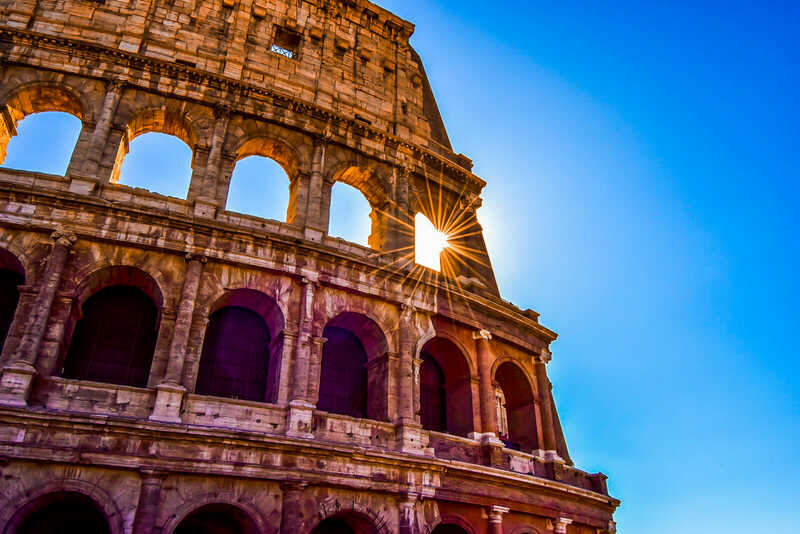 You can make a booking for this and more properties via our Booking.com Affiliate Link of Wonders! Same price for you and a small pocket money commission for this website of yours. Sweet deal, right? 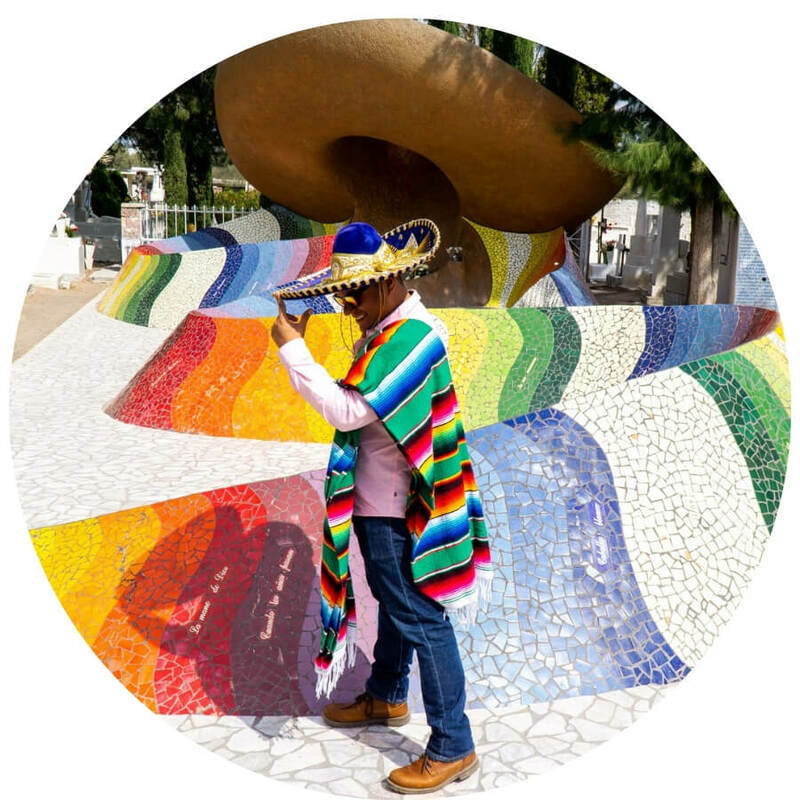 I hope you have enjoyed this article about the Best Things to See and Do in Guanajuato. Don’t forget to subscribe in order to get more awesome updates and tips straight to your e-mail! Have you ever been to Guanajuato? Would you like to? What are your favorite things to see and do in Guanajuato? Share your thoughts and let me know what you think!